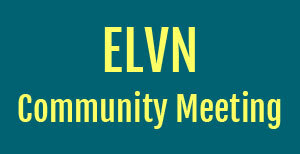 East Lake View Neighbors will be hosting a General/Community meeting on Tuesday, March 1, 2016, at Horace Greeley Elementary School, 832 W. Sheridan Rd., at 7:00 PM. 46th Ward Update – Attorney Dean Maragos Presentation regarding a convenience store proposed for 801 W Irving Park Rd. This entry was posted in ELVN News and tagged board elections on February 26, 2016 by elvn_updates.